The shopping malls participating in the 5th edition of the Bahrain Shopping Festival – ‘Shop Bahrain’ continue to host a wide range of activities and events until February 2nd, 2019. The nationwide festival aims to revitalize the tourism and retail sectors by providing a unique shopping experience. The 5th edition witnessed a huge participation comprising of more than 20 shopping malls across Bahrain. A lineup of activities, including entertainment shows, walkabouts, musical performances and competitions are organized to provide shoppers with the opportunity to experience the vibrant atmosphere and win valuable prizes. Among the participating malls this year are Moda Mall, Seef Mall - Seef District, Muharraq and Isa Town, Bahrain Mall, Dragon City, Saar Mall, The Avenues, Al Aali Shopping Complex, Enma Mall, City Centre Bahrain, El Mercado, Galleria, The Courtyard, Bab Al Bahrain Mall, Gold City, IKEA, as well as the Platinum Sponsor Lulu Hypermarket in Hidd, Riffa Ramli Mall, Juffair Mall, Dana Mall and Janabiyah, and Zinj. 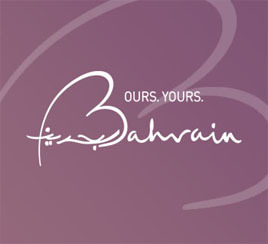 “Participating malls offer an extensive schedule of fun-filled activities and events for visitors of all ages, aiming to increase the footfall in malls during the Festival which is held until the 2nd of February, besides the Festival City, Shop Bahrain’s main attraction, which was launched last week at the BIC,” said Head of Tourism Relations at the Bahrain Tourism and Exhibitions Authority (BTEA), Reem Tawfiqi. The 5th edition of the Festival is organized by the BTEA in cooperation with its strategic partners Tamkeen, VIVA Bahrain and the National Carrier of Bahrain, Gulf Air, as well as Bin Hindi Group, in addition to the Platinum Partners Bin Hindi Informatics and Lulu Group. Prize Partners for this edition include Gravity, Adhari, Awal Gas, Hawar Beach Hotel, Kitchen for Life Company, the Ice Cream Shop, Optica, and Rahim Holdings. This year’s edition features 11 cars and more than 73,000 prizes including, electronics from A.A. Bin Hindi Group, 5,000 discounted airline tickets from Gulf Air, thousands of instant prizes from VIVA and much more.